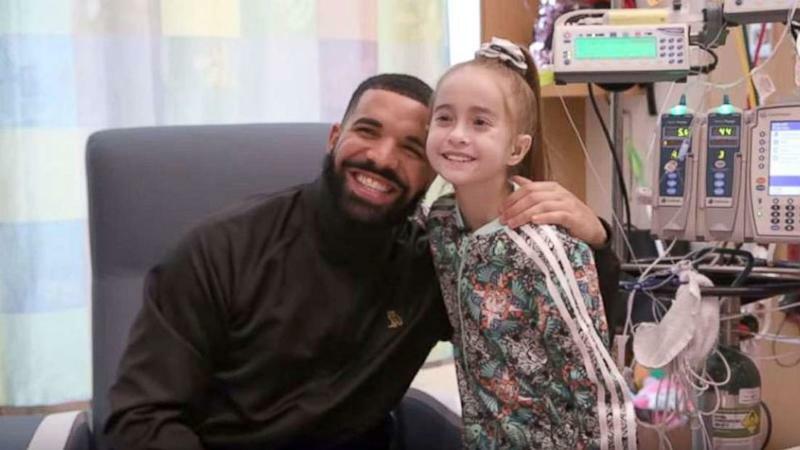 A birthday wish came true for 11-year-old Sofia Sanchez when Canadian rap star Drake visited her in Chicago as she was waiting for a heart transplant, the hospital said. According to a statement from Lurie Children’s Hospital of Chicago, "The two bonded over Justin Bieber, basketball and Drake’s two dogs. 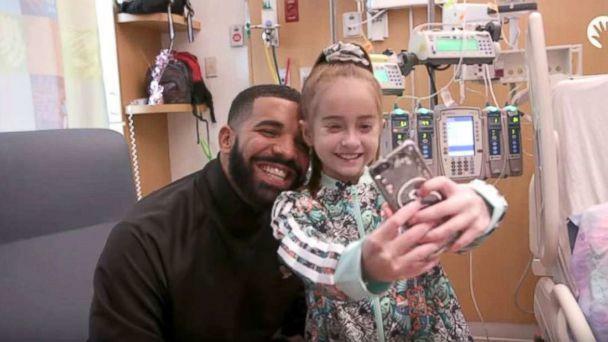 Then they took selfies, exchanged autographs and together they sang his hit song, 'God’s Plan,' Sofia’s favorite." "Thank you Drake for coming to see me, it means a lot for you to come and cheer me up," Sanchez said in the statement. The young girl has been diagnosed with cardiomyopathy, a condition that often leads to heart failure and need for a heart transplant to survive, according to the hospital. She had open heart surgery to connect a VAD, or ventricular assist device, which is a mechanical pump that helps support the heart and blood flow in people with heart failure. But she is still waiting for a new heart. Three days before Sanchez’ birthday in mid-August, the hospital shot a video of Sanchez doing the viral Kiki dance challenge with her cousin in the hospital hallway. She also taped a video message from her hospital bed asking Drake to visit her. The rapper was scheduled to perform on her birthday at the United Center in Chicago. "Having this one special day where she doesn’t have to be a sick patient, it’s just a little girl who’s a fan of a great artist, is pretty special," said Lurie Hospital Pediatric Cardiologist Dr. Bradley Marino.